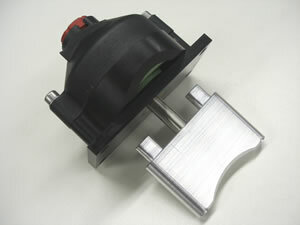 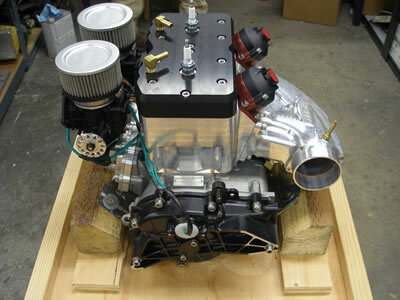 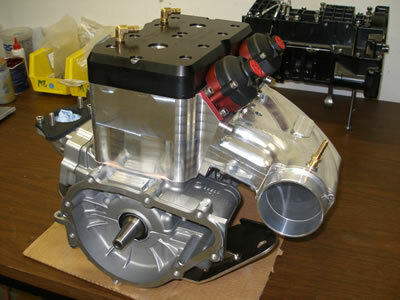 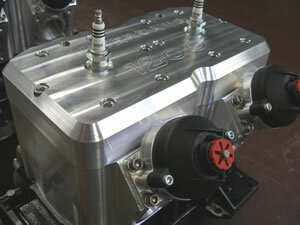 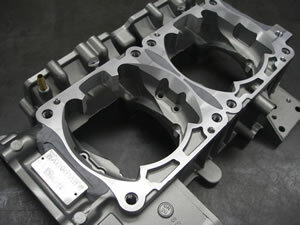 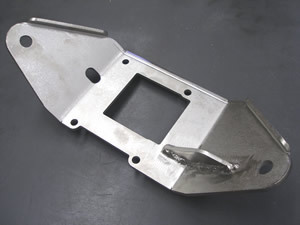 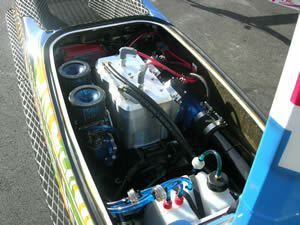 For maximum effect our billet power valve is 1/2 inch wider than stock 800 Yamaha to regulate the huge exhaust port. 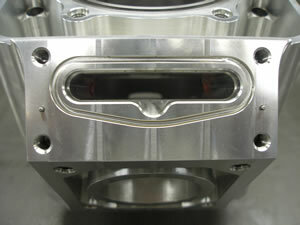 A great feature is pins through the bellow caps to monitor power valve action. 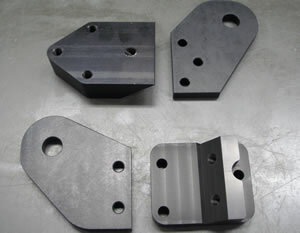 Rear mounts anodized billet 6061, front 3/16" steel nickle plated. 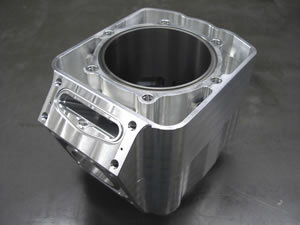 Transfer profile CNC'd for perfect cylinder match.